The city of Khabarovsk krai. 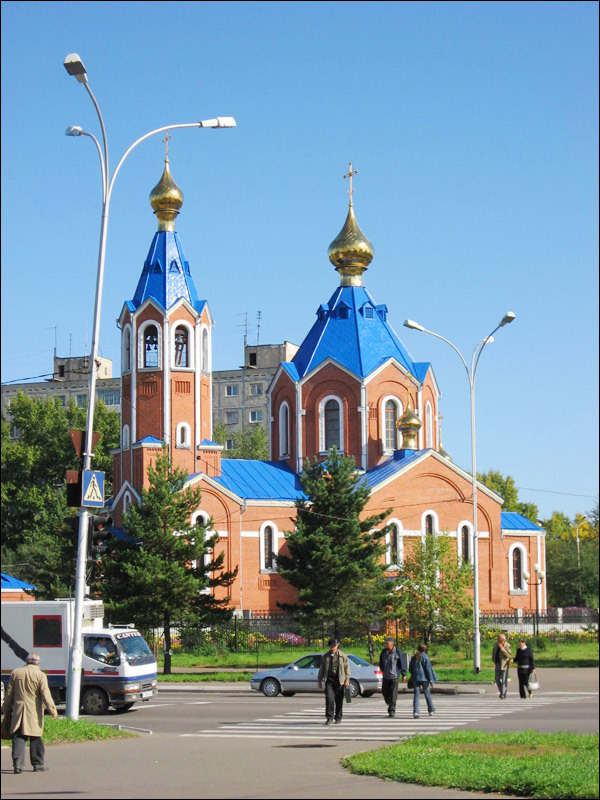 Komsomolsk-on-Amur (Russian spelling: Komsomolsk-na-Amure) is the second largest city of Khabarovsk krai and the fourth largest city in the Far East of Russia, standing on the left bank of the Amur River, 404 km north-east of Khabarovsk (by road). The distance to Moscow is about 8,800 km. 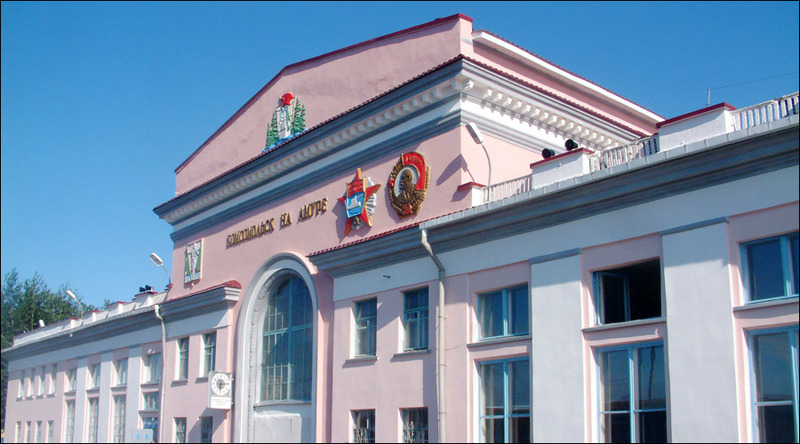 The population of Komsomolsk-on-Amur is about 253,000 (2015), the area - 325 sq. km. The phone code - +7 4217, the postal codes - 681000-681035. 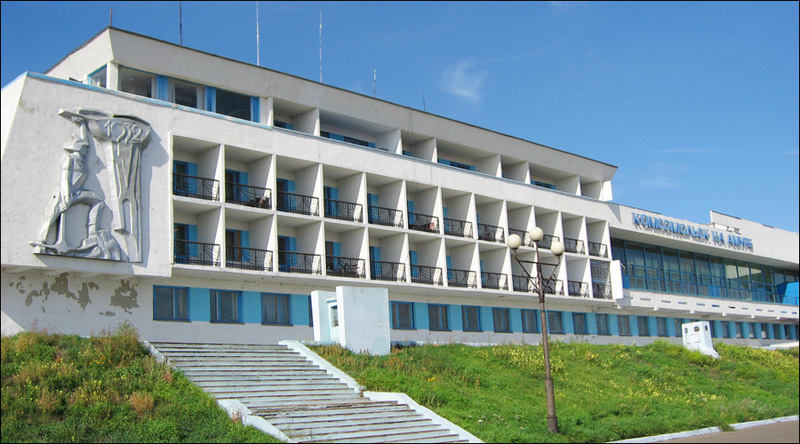 Local time in Komsomolsk-On-Amur city is April 19, 12:17 am (+10 UTC). 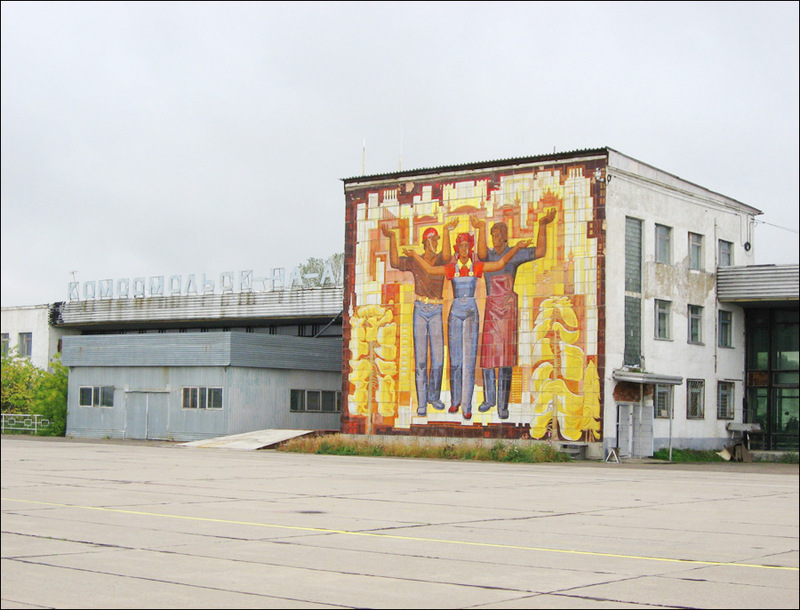 In 1930, the Soviet government issued a decree on economic and cultural formation of Dalnevostochny (Far Eastern) krai and, in August 1931, a decision to construct a shipbuilding plant there was made. In January 1932, Permskoye settlement, located on the left bank of the Amur River, was visited by the government commission, which decided that the Amursky shipbuilding plant should be constructed there. At the same time, it was decided to construct an aircraft-building plant. On May, 1932, the steamers “Komintern” and “Kolumb” brought about 1,000 first builders of the city to the Amur shore. At present, a memorial stone and a monument to the first builders of the city remind of this event. Komsomol volunteers came to the wild taiga area; they lived in barracks and army tents. Subjugating time and overcoming adversities, everyone lived waiting for the construction of giant plants. It was the objective for which they arrived to the severe and uninhabited Amur shore. 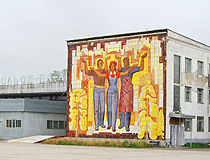 June 12, 1933, the construction of the Amursky shipbuilding plant began. 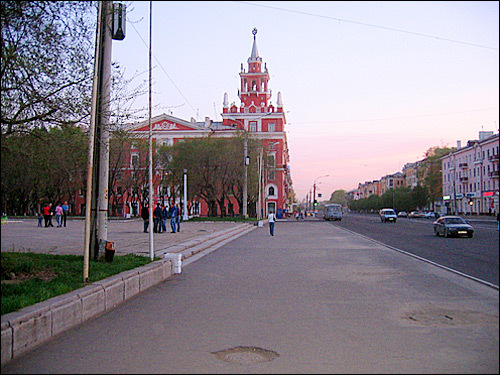 This day is the birthday of Komsomolsk-on-Amur city. Later, on July 18, 1934, another giant plant - an aircraft-building one - was started to be constructed. 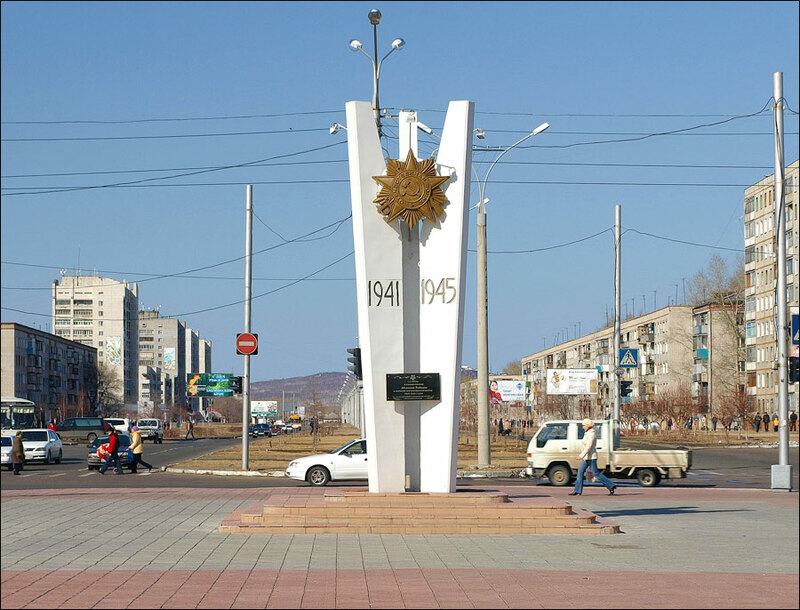 More than 40 thousand inhabitants of Komsomolsk-on-Amur took part in the battles of the Second World War. During the war, locals built and repaired 28 warships, produced 2757 warplanes, constructed 4 new plants, supplied the front with steel, oil, batteries, ammunition and other military products. 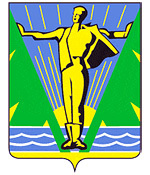 In a short time, Komsomolsk-on-Amur became a major industrial center of the Khabarovsk region and the Far East. 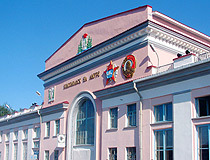 In the period from 1959 to 1993, Komsomolsk-on-Amur was closed to foreigners. 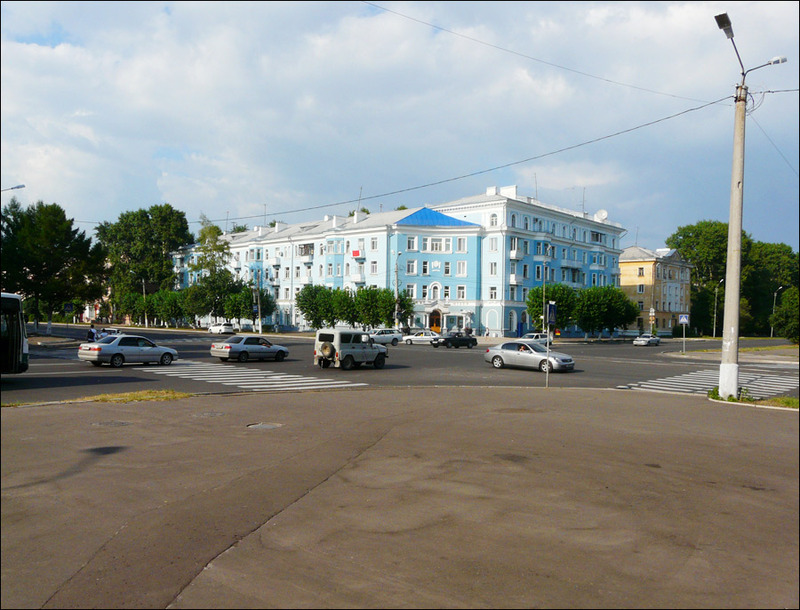 Komsomolsk-on-Amur is also known as “City of Youth.” It was named in memory of the members of Komsomol (the Soviet youth organization) - the first builders of the city (although a significant part of construction workers were prisoners). City Day is celebrated on June 12. The climate is monsoonal, with some characteristics of the continental. 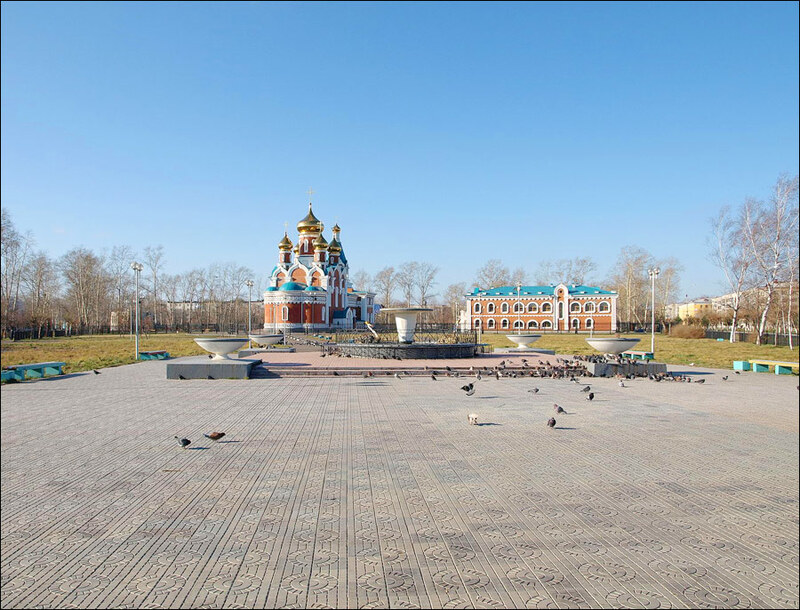 Despite the fact that Komsomolsk-on-Amur is located south of Moscow (the latitude of Belgorod and Voronezh), it is equated to the Far North regions. The average temperature in January is minus 25.7 degrees Celsius, in July - plus 21.3 degrees C.
The city stretches over 30 km along the Amur River. 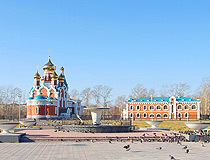 Today, it is the largest industrial center in the Far East of Russia. The most developed industries are machine building and metal-working (aircraft- and ship-building, power engineering, various transportation equipment), ferrous metallurgy, oil-processing, light industry, forest, food processing. to the southwest - the Amur River, a rail- and highway till the city of Khabarovsk and further to the coast of the Pacific Ocean, Vladivostok and Nakhodka seaports. International ties in culture, education and sports are developed in the city. Every year, local and foreign universities exchange students and tutors, hold sport competitions and international festivals. Various ties connect Komsomolsk-on-Amur with Kamo (Japan) and Jiamusi (China). 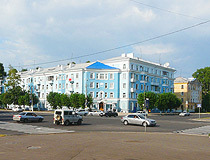 Komsomolsk-on-Amur is included in the list of historically inhabited places of Russia. It is a unique monument of city architecture with an extremely interesting history. Lenin Avenue, Mira Avenue and some other streets are lined with buildings in the style of Stalin’s neoclassicism. 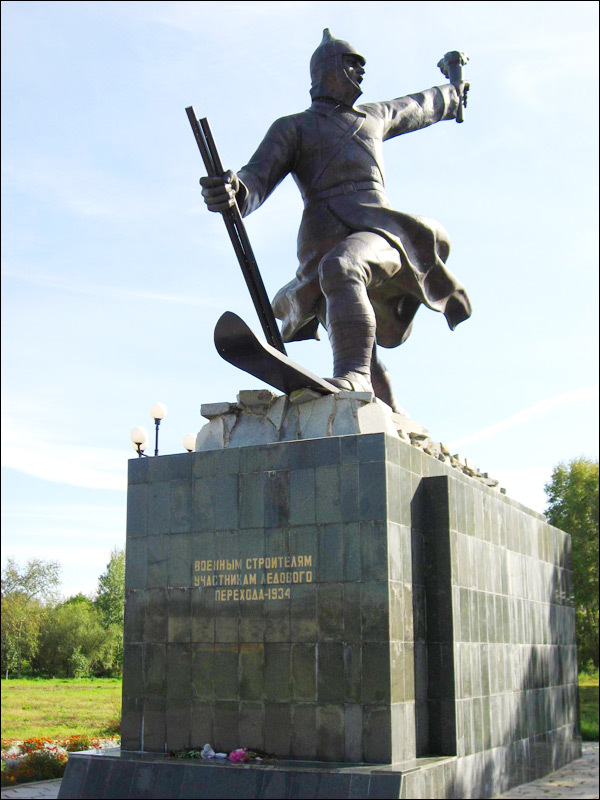 Komsomolsk-on-Amur is rich in monuments erected in honor of the famous people of the city and the country. The plan of Komsomolsk-on-Amur looks like a ray system, it’s such a “city-sun”. Architectural ensembles of the city are examples of “palace” monumental architecture. At present, there are over 130 objects of cultural heritage. 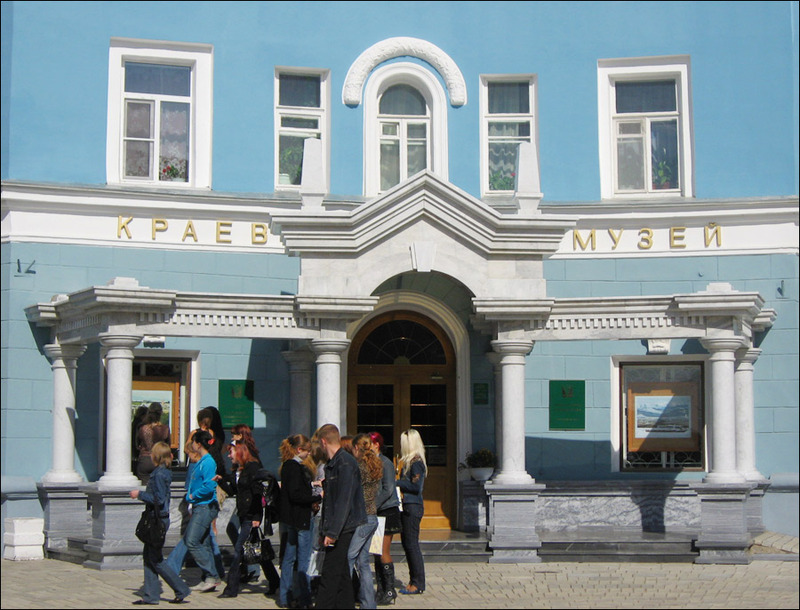 National cultural centers and ethnography museums are open in Komsomolsky, Amursky and Solnechny districts. 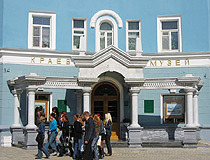 Zoological Center “Python” (Ordzhonikidze Street, 9a). 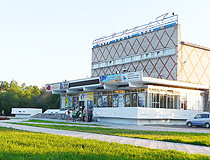 The main theater of Komsomolsk-on-Amur is the drama theater (Pervostroiteley Street, 11), opened during the celebration of the 50th anniversary of the city, on June 7, 1982. 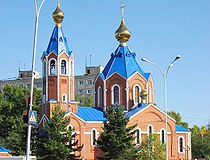 Travel agencies of Komsomolsk-on-Amur offer tourists a variety of tours around the city and surrounding areas. Tourist and recreation objects located in the city and neighboring districts offer various types of activities: mountain skiing, rafting, walking and equestrian tours, and fishing. 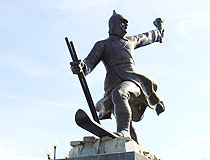 Tourist activities in Komsomolsk-on-Amur and neighboring districts last all year round. There are modern comfortable hotels, a developed net of restaurants with various national cuisines and a lot of tourist sites. “Silinsky forest” is a large park located within the city limits. It is a virgin taiga forest on 500 hectares area. “Mira 5” Hostel - a youth hostel opened in 2014. Mira Avenue, 5. Tel. : +7 4217 59 11 11. 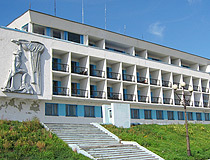 Large enterprises of Komsomolsk-on-Amur also have their own hotels. 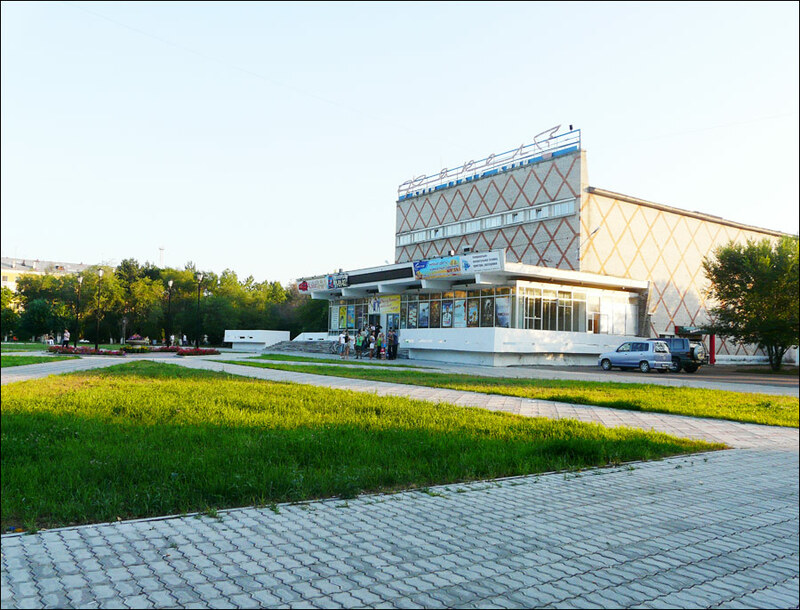 Andrew asks: What is the driving distance from Komsomolsk-on-Amur to Nakhodka? 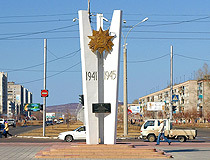 The driving distance between Komsomolsk-on-Amur and Nakhodka is about 1,282 km. Nice to see pictures from a distant city. Especially the pictures of the churches are interesting.